More than 10,000 physical wounds were sustained by British military personnel during the Afghan war, as psychological injury remains rife among UK veterans who have returned home. The grim statistics were released Thursday, having been assembled in a report by the Defense Statistics branch of the Ministry of Defence (MoD). 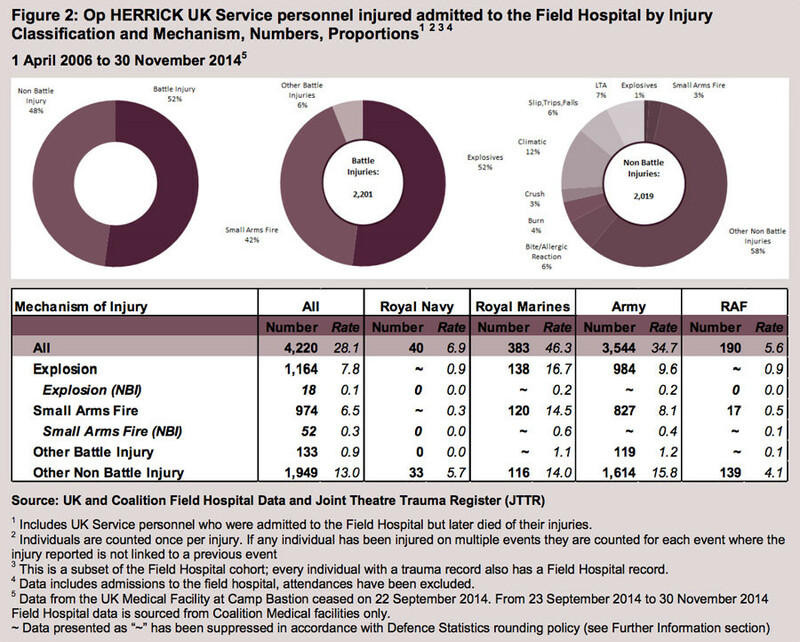 Field hospital admissions from the period show that 10,371 injuries were sustained by 1,982 personnel. In each of these cases, the injuries were deemed serious enough to warrant the activation of a specialist trauma team. “The 1,982 UK Service Personnel who were admitted to the field hospital with injuries that required the activation of the UK trauma team sustained 10,371 separate injuries,” the report says. The statistics include those who were admitted to the field hospital and died of their wounds and those who survived to the point of discharge from the facility, only to die later. 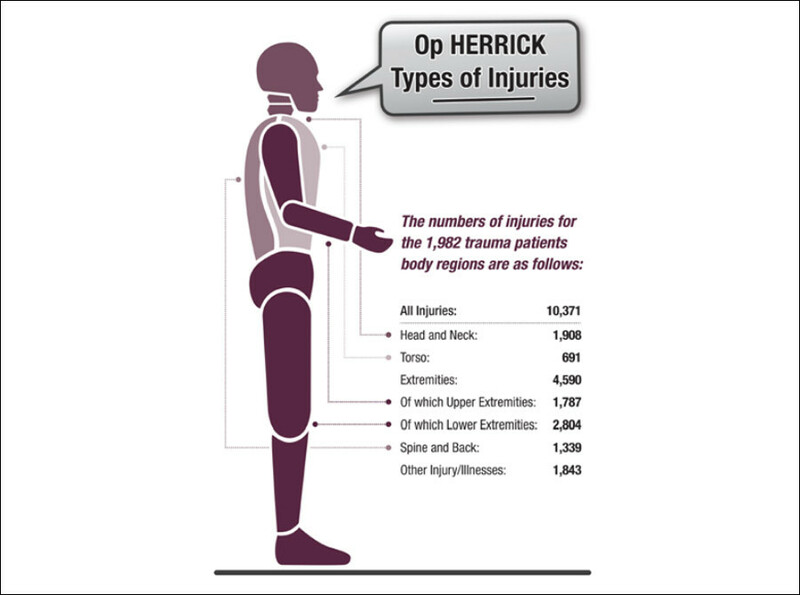 Overall, 4,220 wounds were sustained by military personnel with a further 199 admissions of civilian employees. The report claimed half of the wounds were battle injuries and half were non-combat injuries. It said that around half of injuries were to the extremities, with the largest number of wounds sustained to the lower limbs: a figure conducive to the maiming threat of buried Improvised Explosive Devices (IEDs). Some 974 injuries were from small arms fire. Head and neck injuries constituted around one-fifth of the wounds sustained by service personnel, while non-combat injuries including road accidents, animal and insect bites, slips, trips, falls and climatic wounds such as heat injury also took personnel out of action. In a breakdown of injuries sustained by military branch or service, the British Army was hardest hit with 3,544 wounds, followed by the Royal Marines’ 383 injuries. The RAF sustained 190 and the Royal Navy sustained 40. The news comes as military charity Combat Stress reported that 112 veterans of the 1991 Iraq War came forward for Post-Traumatic Stress Disorder (PTSD) treatment over the last 12 months. This weekend marks the 25th anniversary of the West’s first war with the regime of Saddam Hussein. A breakdown of military mental injuries is harder to pin down with figures fiercely contested by the military, charities and veterans themselves. 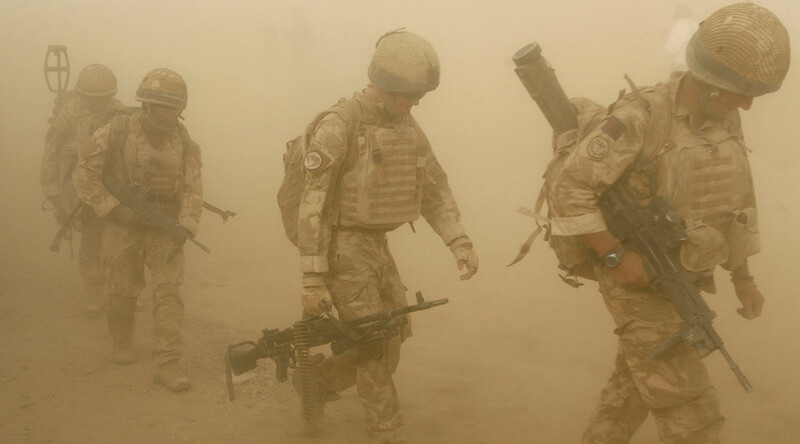 A 2014 statistical analysis based on Freedom of Information (FoI) requests carried out by the military charity Help for Heroes claimed that up to 59,000 Afghanistan and Second Iraq War veterans could be suffering the effects of mental injury. Another military charity, Combat Stress, claimed on Friday that veterans of the First Gulf War are coming forward seeking PTSD help almost 25 years to the day after hostilities began. RT spoke to a veteran of the conflict to ask his view on the upsurge in people coming forward seeking help. Glenn Fitzgerald went to the Middle East as an 18-year-old cavalry soldier. Asked what he felt 25 years on, he said he felt Gulf War veterans were “somehow lost in the paperwork” compared to those of more recent wars. “I think it is one which has been a long time coming,” he said, adding that mental injury is not the only health issue affecting those who fought Saddam Hussein’s regime the first time round. Fitzgerald said another major problem was the mysterious Gulf War Syndrome, which many UK and US veterans claim affects them to this day. Symptoms include chronic fatigue, stomach disorders and higher rates of certain kinds of heart valve defects in children born to male veterans of the war. Fitzgerald believes the syndrome is result of what he called “experimental” injections many soldiers, including himself, received to protect against biological weapons like Anthrax. The cost of aftercare for the Afghan war veterans is unclear, though a 2015 study by Royal British Legion Centre for Blast Injury Studies at Imperial College London estimated amputees alone would cost £288 million over the next 40 years. A book-length audit titled “Investment in Blood” and by written former military intelligence officer and barrister Frank Ledwidge puts the overall figure for Afghanistan veterans care at around £4 billion, with much of the cost borne by charities rather than government. Operation Herrick also claimed the lives of 453 military personnel, while 1991’s Desert Storm, known to the British as Operation Granby, saw 47 killed.